Photographers who are looking for ideas that compliment their current wedding offerings are turning to other wedding vendor’s professional photographer programs to market themselves in a whole new and very unique way. Many photographers will add an engagement photo session of the couple to their wedding package. 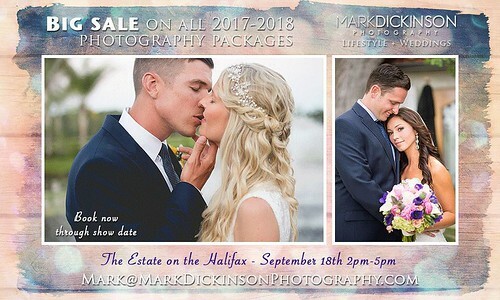 This is a great incentive for couples wanting to publish professional engagement photos in their local newspaper or later use their engagement photos in a showcase album at the wedding. Engagement photos are showcased in an album that is later used at the wedding reception as a guest book. The photographer’s engagement photos of the couple are showcased in the album and guests then add their handwritten sentiments and warm wishes on the album pages – a keepsake that is a lasting reminder of the day (and the photographer). A website that hosts the engagement and wedding photos is a wonderful way for the couple’s out-of-town guests who couldn’t make it to the wedding feel as if they were a part of it. It also gives the couple an opportunity to stay in touch with their guests with fun pictures of the wedding and wedding reception. Creating a custom album for each set of parents can boost the currency of the new son or daughter in law in addition to making a very special and personal gift. The albums feature photographs that are meaningful to each set of parents in a beautifully bound and personally created coffee table album for them to enjoy for years to come. Having a high resolution CD of all their photos gives the couple the ability to have prints made long after their wedding day is over – for family gifts, to frame and send to friends as a reminder of that special day or even to get shots printed and framed for their new home. This incentive is especially meaningful to couples with large families. With a reduced rate for print enlargements, the couple can provide their close family members with more than a few 4 x 6 wedding prints.